Anyone who has been to an Ethiopian restaurant will be familiar with injera, a slightly spongy pancake-like flatbread used simultaneously as food, eating utensil and plate. Ethiopian cuisine is traditionally served on injera. Using one’s hand, small pieces of injera are torn and used to grasp the stews and salads for eating. The injera under these stews soaks up the juices and flavours of the foods and, after the stews and salads are gone, this bread is also consumed. Mama Fresh Injera, based in Ethiopia’s capital Addis Ababa, is said to be one of the largest commercial manufacturers and exporters of fresh-baked injera. The family business was started in 2003 by Hailu Tessema. His wife is production manager and his son is in charge of marketing. While Mama Fresh has a decent local clientele in Ethiopia, supplying hotels such as the Sheraton and Hilton, the company sees growth opportunities in the export market. 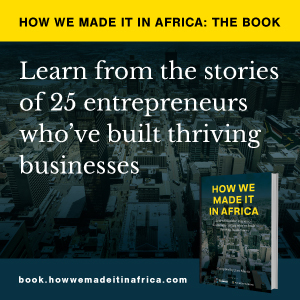 In an interview with How we made it in Africa, Tessema explained that 50% of the company’s output is currently exported to markets such as the US and Europe. He said the Ethiopian diaspora in these countries are the main end-consumers. The company recently received investment from a network of angel investors supported by US-headquartered advisory firm RENEW. This investment is expected to bankroll the construction of a new export-focused factory that will allow Mama Fresh to triple production. Injera is traditionally made from teff, a gluten-free grain. Mama Fresh sources its teff from hundreds of smallholder farmers in Ethiopia. In addition to injera, the company also intends to research new teff-based gluten-free products. Ethiopia is shaking off its image as a land of poverty and famine and is today one of Africa’s fastest growing economies. International Monetary Fund figures show that GDP growth remains robust, with the economy expected to expand by around 7.5% this year. According to a 2012 statement by the World Bank, Ethiopia has ample low-cost labour, giving it a comparative advantage in less-skilled, labour-intensive sectors, and abundant natural resources that can provide valuable inputs for light manufacturing industries serving both domestic and export markets. The country’s resources include cattle for leather; forests for wood; cotton for apparel; and farmland and lakes as inputs for agro-processing industries. Foreign companies are also looking at Ethiopia as a potential manufacturing destination. Swedish-based fashion retailer H&M is one of the latest global companies to experiment with sourcing its products from Ethiopia, and recently placed test orders for garments with Ethiopian suppliers. Retailers such as Tesco and Walmart reportedly already source some products from Ethiopia.